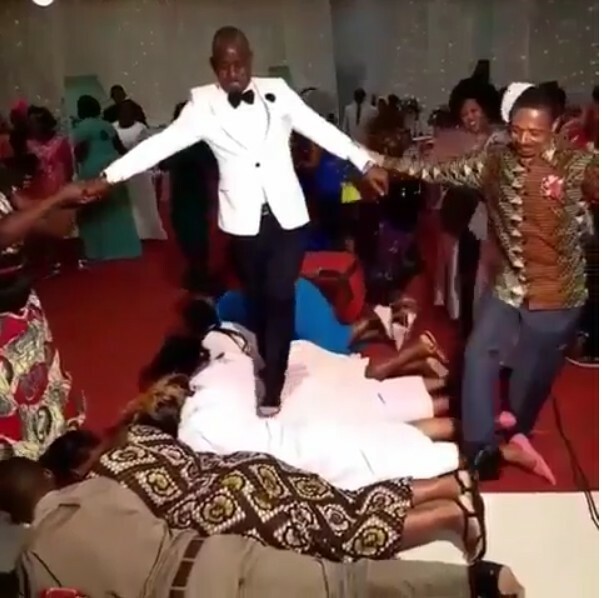 The images of a couple using their wedding guests as a foot mat has gone viral on social media. 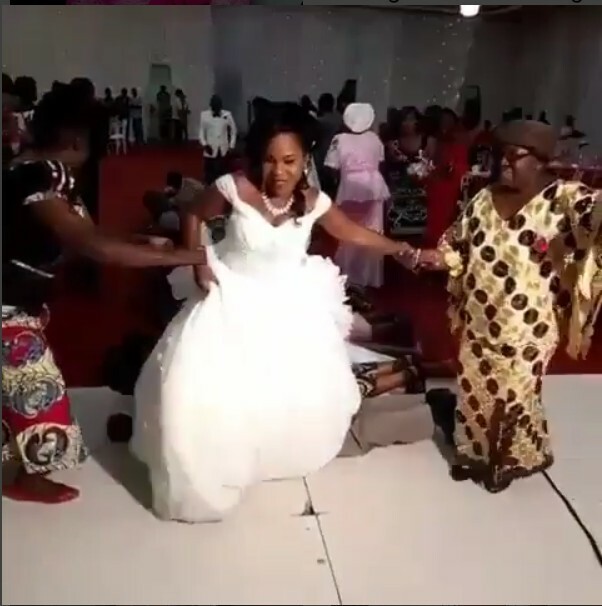 The newly wedded couple were pictured stepping on their guests at their wedding ceremony, in a bid showcase their tradition. 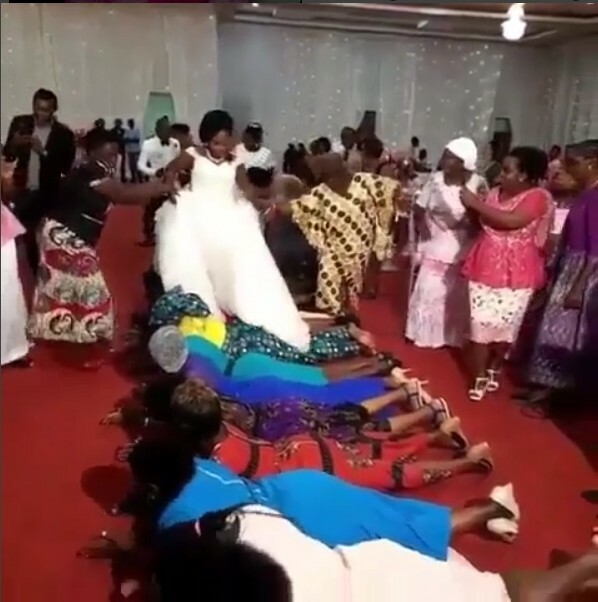 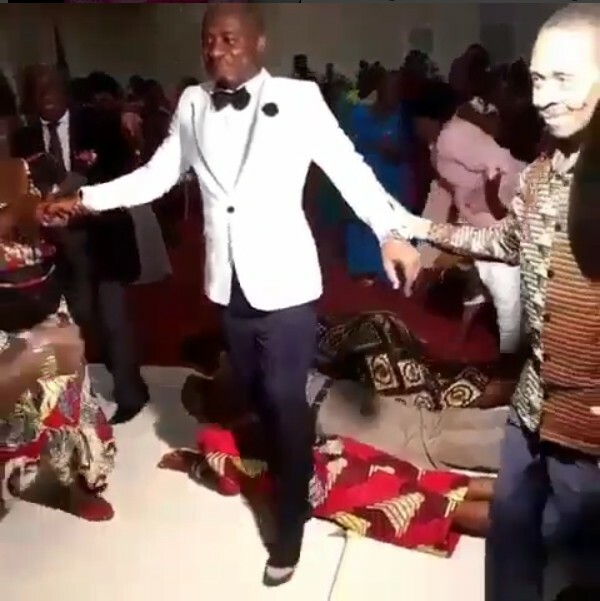 The wedding guests were made to lay flat on the ground while the couple stepped on them till they got to the other side with full support from their family members.